The political stability of the small island state of Bahrain—home to the US Navy’s Fifth Fleet—matters to the United States. And Sheikh Qassim, who simultaneously leads the Bahraini Shi’a majority’s just struggle for a more democratic society and acts as an agent of the Islamic Republic of Iran, matters to the future of Bahrain. A survey of the history of Shi’a activism in Bahrain, including Sheikh Qassim’s political life, shows two tendencies: reform and revolution. Regardless of Sheikh Qassim’s dual roles and the Shi’a protest movement’s periodic ties to the regime in Tehran, the United States should do its utmost to reconcile the rulers and the ruled in Bahrain by defending the civil rights of the Bahraini Shi’a. This action would not only conform to the United States’ principle of promoting democracy and human rights abroad, but also help stabilize Bahrain and the broader Persian Gulf region. It would also undermine the ability of the regime in Tehran to continue to exploit the sectarian conflict in Bahrain in a way that broadens its sphere of influence and foments anti-Americanism. Bahrain’s history is fraught with Shi’a marginalization, which, as the nation’s ties to the Islamic Republic of Iran grow stronger, has fomented a radical strain in the nation’s politics. Political and clerical leader Sheikh Qassim’s transition from moderate reformist to zealous revolutionary serves as a broader warning to the United States of the shifting tides in Bahrain. To ensure stability in the Persian Gulf, which is critical for oil transportation, the United States must work with the current government in Bahrain to encourage gradual reforms and civil rights for the Shi’a majority. Every Friday, the elderly Ayatollah Isa Ahmad Qassim al-Dirazi al-Bahrani, more commonly known as Sheikh Qassim, climbs the stairs to the pulpit at the Imam al-Sadiq mosque in Diraz, Bahrain, to deliver his sermon. Wearing a white turban and cloak matching his white beard and reading his handwritten sermon on ethics aloud in a monotonous voice, the spectacled sheikh resembles the scholarly imam after whom the mosque is named rather than a revolutionary leader. However, every week, hundreds of Bahraini Shi’a line up to pray behind Sheikh Qassim in Diraz, and thousands find political inspiration in his sermons, which they follow on the Internet or radio and television broadcasts sponsored by the regime in Tehran and the Lebanese Hezbollah. Sheikh Qassim’s persistent demand for political reforms and his call for active resistance to the Sunni ruling elites of Bahrain have made him the preeminent Shi’a leader in Bahrain. The Sunni ruling elites of Bahrain, however, see Sheikh Qassim not as a reformer but as a zealot revolutionary serving the Islamic Republic of Iran. They accuse him of trying to overthrow rather than reform the political order in Bahrain. Instead of bridging the gap between the Shi’a and Sunni, they claim, Sheikh Qassim widens the sectarian divide in society. There is some truth to both perceptions of Sheikh Qassim. The history of the struggle of the Bahraini Shi’a, with which Sheikh Qassim’s political life is intertwined, illustrates his dual role. Sheikh Qassim expresses the just grievances of the Shi’a protest movement and demands civil rights for the Shi’a majority. but increasingly he—and the Shi’a protest movement— act like revolutionaries rather than reformists. There is also unquestionably a relationship between Sheikh Qassim and the regime in Tehran, which he denies, but whose propaganda machinery he skillfully employs to spread his message. Tracing Sheikh Qassim’s early influences helps us understand his current beliefs and political alliances. According to a short biographic note on Sheikh Qassim released by Al-Wasat, he was born in the village of Diraz, west of the capital (Manama) along Bahrain’s northern coastline, around 1940. However, the exact year of his birth is disputed. His father, Ahmad al-Bahrani, was a modest fisherman and did not belong to the prominent families in the village. Sheikh Qassim was born into a rural Arab Shi’a family who, as their family name (Bahrani) suggests, consider themselves the original inhabitants of the country. This identity distinguishes them from the Khalifa ruling family, whom the Baharna consider to be foreign invaders, but also from Ajam, or ethnically Iranian and Persian-speaking Shi’a of Bahrain. Sheikh Qassim’s childhood and early youth coincided with the emergence of modern political movements in Bahrain unleashed by British-sponsored judicial reforms of the 1920s. By 1934, the Baharna regularly demonstrated for their civil rights, at times clashing with the Sunni (for example, in the Ashura procession in 1953) and at times cooperating with the Sunni protest movements, as in the 1956 rally to support Egyptian president Gamal Abdel Nasser’s nationalization of the Suez Canal. The turbulent events of the time do not seem to have influenced Sheikh Qassim, who preferred school to street politics. He enrolled in the Budaiya primary school, where his intellectual curiosity and high academic marks earned him the acclaim and respect of his teachers.After primary school, Sheikh Qassim enrolled at the secondary school in Manama, along with his two brothers. After graduation, he immediately began his career as a teacher at his old school in Budaiya—a position he continued in until the beginning of the 1960s—while also studying Islamic jurisprudence with Sheikh Abd al-Husein al-Hilli, an Iraqi Shi’a who was invited to Bahrain by its Sunni rulers to create a Shi’a legal system for the Bahraini Shi’a. None of these moves shows an early interest in politics. Indeed, they suggest that Sheikh Qassim, in his early school years, chose school and Islamic jurisprudence over the political tumults of the time. Sheikh Qassim was integrated, at an early age, into an international network of Shi’a scholars and radical leaders that undeoubtedly influences his thoughts and actions today. In the early 1960s, Sheikh Qassim decided to leave Bahrain and continue his theological studies in the holy Shi’a city of Najaf, Iraq—then the leading center of Shi’a learning—where he remained for four years. The open-source material does not provide any detailed information about Sheikh Qassim’s first years in Najaf. In the mid 1960s, Sheikh Qassim returned to Bahrain to continue teaching for two years but later traveled back to Najaf to continue his theological studies under Ayatollah Mohammad Baqer al-Sadr. Apart from being the preeminent center of Shi’a learning, Najaf was also a hotbed of Shi’a political awakening in the 1960s. The post–World War II nationalist and anti-imperialist struggles in the developing world, emergence of Nasser’s Arab socialism, and growing presence of Ba’athist movements and communist parties in the Middle East all challenged both the political order and the worldview of the Shi’a. Therefore, Shi’a theoreticians of state such as Ayatollah Sadr and Grand Ayatollah Rouhollah Khomeini, who at the time was living in exile in Iraq, were busy formulating a Shi’a theory of state to counter the Marxist and nationalist tendencies of the era. Ayatollah Sadr, with the tacit support of the Shi’a clerical establishment, founded Hezb al-Da’wa al-Islamiyya [Party of the Islamic Call], commonly known as al-Da’wa, in response to the popularity of so-called scientific socialism. Inspired by Egypt’s Muslim Brotherhood’s political program,Ayatollah Sadr divided the political struggle into four stages: propagation, organization and training of the activists, seizure of power through revolution, and establishment of the Islamic polity. Thus, studying under Ayatollah Sadr, Sheikh Qassim was also indoctrinated into the ideology and operational code of al-Da’wa. Sheikh Qassim’s early network shaped his later career and political worldview today. Because Shi’a theological seminaries attracted Shi’a students from Lebanon in the West to Southeast Asia, Sheikh Qassim was also integrated, at an early age, into an international network of Shi’a scholars and radical leaders while studying under Ayatollah Sadr that undoubtedly influences his thoughts and actions today. Bahraini classmates of Sheikh Qassim in Najaf at the time included Abdollah al-Madani, Abdullah al-Ghuraifi, and the late Abdul Amir al-Jamri and Abbas al-Rayyas, Sheikh Qassim’s childhood friends from Diraz who would later play a significant role in the political awakening of the Bahraini Shi’a.. Some of the Iraqi students of Ayatollah Sadr most likely in Sheikh Qassim’s network (not necessarily his classmates) and who play significant roles in Iraq today include Ibrahim al-Jaafari and Nouri al-Maliki, the former and current prime ministers of Iraq. Notable Iranian students of Ayatollah Sadr who were Sheikh Qassim’s contemporaries include Ayatollah Mahmoud Hashemi Shahroudi, the former judiciary chief of the Islamic Republic who is currently preparing for his return to Iraq;Ayatollah Kazem Husseini Haeri, to whose authority radical Iraqi leader Hojjat al-Eslam Muqtada al-Sadr is subjected; and Ayatollah Mohammad-Ali Taskhiri, head of the World Forum for Proximity of Islamic Schools of Thought.. Following British withdrawal from the Persian Gulf in 1971, Manama declared its independence on August 14, 1971, and Iran, which had made claims on Bahrain until then, was the first state to extend diplomatic recognition to the independent Bahraini state. However, in addition to international recognition, the rulers of Bahrain also needed to address the question of legitimacy at home. In an attempt to strengthen the legitimacy of their rule, the Khalifa regime instituted a forty-four member Constituent Assembly by the end of 1972. Twenty-two members of the assembly were elected by Bahraini male citizens, eight appointed by the ruler of Bahrain, and fourteen appointed from cabinet ministers, which preserved the balance between elected and appointed officials. After the constitution was ratified, new elections were held in 1973 to determine the composition of the first parliament. Sheikh Qassim, who was living in Najaf with his wife and children at the time, preferred to devote his life to scholarship. Devout Shi’a villagers in Diraz, however, desperately needed qualified candidates to counter Nasserist, Ba’athist, and Communist candidates. Ja’far al-Shihabi, founder of a religious network that later became known as the Islamic Enlightenment Society (Jama’iyyat al-Tawu’iyya al-Islamiyya), urged Sheikh Qassim to represent the Budaiya District in the elections.Sheikh Qassim initially refused to return to Bahrain, but when his brother Mahdi visited him in Iraq only four days before the registration deadline to persuade him to return, he consented. Like most Bahraini students of Ayatollah Sadr, Sheikh Qassim ran as the candidate of the Islamic Enlightenment Society, which he and his classmates from Najaf, because of their common organizational past in Iraqi al-Da’wa, transformed into the front organization of al-Da’wa in Bahrain.Sheikh Qassim was elected into the Constituent Assembly with 984 of the 1,260 votes cast in the constituency. The landslide victory, Fuad I. Khuri remarked, “was not of [Sheikh Qassim’s] own making,” but because of the sectarian voter behavior of the Shi’a in the constituency. However, the struggle with the Sunni rulers and the leftists was not the only challenge to Sheikh Qassim and the al-Da’wa activists. Soon they had to face the rise of a rival Shi’a political current: the Shiraziyyin. The roots of the rivalry can be traced back to the political and economic competition between Najaf and Karbala, and more specifically to Karbala-based Ayatollah Mohammad al-Shirazi and the clerical establishment in Najaf. In the 1960s, Ayatollah Shirazi aligned himself with the exiled Grand Ayatollah Khomeini in Iraq to counterbalance the clerical establishment in Najaf and tasked his nephew Hadi al-Modarresi, who had attended Khomeini’s politicizing lectures in Najaf, to collect khums —annual taxation of one-fifth of all gain—among the Bahraini Shi’a. Initially, Sheikh Qassim and other students of Ayatollah Sadr ignored Ayatollah Shirazi’s activities in Bahrain, but when al-Modarresi applied for and was granted Bahraini citizenship in 1974, al-Da’wa activists understood that the Shiraziyyin had come to Bahrain to stay. Every khums dinar that Ayatollah Shirazi’s representatives collected would be a dinar less for Ayatollah Sadr’s representatives. A fierce struggle for the Shi’a khums money erupted between the two factions. Sheikh Qassim and al-Modarresi competed with each other from mosque to mosque and matam (houses of sorrow, Shi’a cultural institutions in Bahrain) to matam to attract the greatest number of followers and greatest amount of khums. The al-Da’wa and Shiraziyyin rivalry in Bahrain also had a doctrinal dimension. From 1973, while Sheikh Qassim and other al-Da’wa members served as parliamentarians in the so-called “religious bloc” (al-Kutla al-Diniyya) and demanded reform of the political system in Bahrain, the Shiraziyyin, led by al-Modarresi, were preparing for an armed struggle against the Khalifa regime. In cooperation with Hojjat al-Eslam Mohammad Montazeri, son of Grand Ayatollah Hossein-Ali Montazeri,and Hojjat al-Eslam Mehdi Hashemi, the brother of the son-in-law of Grand Ayatollah Montazeri, al-Modaressi and the Shiraziyyin distributed recordings of Grand Ayatollah Khomeini’s inciting speeches, organized revolutionary cells in Bahrain, and dispatched their cadres to undertake military training in Palestine Liberation Organization refugee camps in Lebanon. Instead of taking advantage of the factionalism among Shi’a groups, the Sunni ruling elites of Bahrain opted to confront the al-Da’wa faction in parliament. The relationship between the ruling family and the religious bloc deteriorated quickly because of Shi’a opposition to the government’s support for socially liberal and progressive legislation initiatives, which Sheikh Qassim and his Shi’a colleagues considered contrary to Islam.In 1975, the ruler of Bahrain, in reaction both to Shi’a obstruction in parliament and fear of the leftist opposition, dissolved parliament when it refused to pass a State Security Measures Law that authorized arrest and imprisonment of up to three years without charge or trial for undefined “acts” or “statements” that could be construed to threaten the country’s internal or external security. The ruler of Bahrain may have found it difficult to reach compromises with the al-Da’wa parliamentarians, but his closure of the parliament strengthened the more radical Shiraziyyin. The Shiraziyyin were hardly interested in parliamentary politics because of their lack of a social base in Bahrain, but they used the closure as proof that the reformist aspirations of the al-Da’wa were futile against the repressive Sunni regime. This was only the first of many occasions in which the ruling family of Bahrain adopted policies that strengthened the radical Shi’a factions. The 1979 revolution in Iran and establishment of the Islamic Republic had a profound impact on Shi’a communities outside Iran, particularly in Shi’a majority societies such as Iraq and Bahrain. Above all, the revolution disturbed the balance of power between Shi’a reformers and revolutionaries. The revolutionaries, in the wake of Grand Ayatollah Khomeini’s victory, saw the Islamic Revolution in Iran as a model to radically change the political order in their societies and a more effective alternative to the slow path of gradual reform. Grand Ayatollah Khomeini never hid the internationalist dimension of his revolution and, addressing Shi’a representatives from Bahrain on May 20, 1979, warned against “foreigners” who divide the Muslim Umma[Community of Believers] into states. Bahrain’s rulers were further alarmed by statements from Ayatollah Sadeq Rohani, who, in a June 1979 speech, renewed Iran’s claims on Bahrain, which he called “the fourteenth province of Iran,” and declared the Iranian parliament’s 1971 recognition of Bahrain as a sovereign state void. Ayatollah Rohani was not an official spokesman of the government of the Islamic Republic, and Foreign Minister Ebrahim Yazdi dismissed his statements. But in the chaos of the revolution, influential individuals carried more weight than the interim government, meaning the damage was done. The Khalifa regime began perceiving the Bahraini Shi’a as fifth columnists of the newly established Islamic Republic. To the relief of Sheikh Qassim and other al-Da’wa activists, al-Modarresi was expelled from Bahrain on August 31, 1979, which initially significantly weakened the Shiraziyyin movement. However, when he returned to Tehran, al-Modarresi was placed in charge of the Arabic section of Islamic Republic of Iran Broadcasting, where he headed broadcasting programs to the Persian Gulf region and strove to incite the Shi’a to revolt against the Sunni rulers of Bahrain. Al-Da’wa’s lack of effective mass communication platforms at the time weakened it further, which may explain Sheikh Qassim’s eagerness to use all the mass communication tools the regime in Tehran offers him today. On December 31, 1981, the Bahraini authorities announced that they had foiled a conspiracy against the regime and arrested three hundred people, of whom seventy-three were tried. The regime accused the al-Modarresi–led IFLB of conspiring against the ruler of Bahrain.Following Saddam Hussein’s execution of Ayatollah Sadr, the Shiraziyyin organized rallies in Bahrain, which the regime quelled violently. It was here that the Bahraini Shi’a had their first martyr: Jamil al-Ali, a demonstrator who died under torture. While Shiraziyyin leaders took refuge in Iran, al-Da’wa leaders like Sheikh Qassim and Sheikh Jamri remained in Bahrain and attempted to demonstrate that they were not agents of the Islamic Republic. This shows that the Bahraini branch of al-Da’wa was then still committed to the path of reform rather than revolution. Al-Da’wa members benefited from this strategy in more than one way. Despite the turbulent years in the aftermath of the revolution in Iran, the majority of the Bahraini Shi’a were not revolutionaries, which made al-Da’wa a more attractive option for them than the Shiraziyyin. By remaining in Bahrain, al-Da’wa did not lose its social base and, more important, avoided overinvolvement in the internal politics of the Islamic Republic. The Shiraziyyin, who were deeply involved in Iranian politics, paid a high price for their cooperation with Hojjat al-Eslam Hashemi’s Office of the Liberation Movements. Grand Ayatollah Montazeri’s faction lost the struggle for power to the triumvirate of Hojjat al-Eslams Ahmad Khomeini, son of Grand Ayatollah Khomeini; Akbar Hashemi Rafsanjani, then parliamentary speaker; and then president Ali Khamenei, as well as most of Grand Ayatollah Montazeri’s close associates, including those involved in the daily operations of the Office of the Liberation Movements, lost substantial influence. Tehran also sacrificed the liberation movements—including central figures like Ayatollah Shirazi, who was put under house arrest in Qom, Iran—in an effort to normalize relations with its Arab neighbors after the war with Iraq ended in 1988. However, rather than learning from the mistakes of the Shiraziyyin, Sheikh Qassim seems to commit the same blunders in his close ties to Tehran. 1n 1991, Sheikh Qassim traveled to the holy city of Qom to continue his education in religious jurisprudence. The Ba’ath regime’s suppression of the Shi’a during the war with Iraq, and particularly following the defeat of the Shi’a uprising in 1991, had made Iraq inhospitable for Shi’a scholars and political activists. With few prospects of gaining political influence in Bahrain and Najaf in this atmosphere, Sheikh Qassim had no other choice but Qom, where he turned to his old friends from Ayatollah Sadr’s class—Ayatollah Shahroudi, Ayatollah Haeri, Ayatollah Fazel Lankarani, and others. Once in Qom, Sheikh Qassim began his theological studies to reach the rank of ayatollah. Sheikh Qassim’s move to Iran indicated a greater Shi’a exodus to theological seminaries in Qom beginning in the early 1980s, when the Islamic Republic established Al-Athar Theological Seminary in Qom, which under Hojjat al-Eslam Abdulah al-Daqaq specialized in the education of Bahraini theological students. By 2009, the number of Bahraini theological students in Qom had reached ninety, ten of whom were female students studying at the Jami’at al-Zahra, Bent al-Hoda, and Dar al-Masoumeh theological seminaries in Qom. By comparison, only nineteen Bahraini theological students were studying in Najaf in 2009. One of the Bahraini theological students studying in Qom at the time was Sheikh Ali Salman. Sheikh Salman was not previously associated with al-Da’wa or the Shiraziyyin and preferred soccer to politics in his youth. However, when he attended his first political and religious meeting in 1985, which was attacked by the security forces, he was “deeply moved” by Sheikh Qassim’s sermon. Two years later, Sheikh Salman abandoned his mathematics studies in Saudi Arabia and spent 1987 to 1992 at the theological seminary in Qom. When Sheikh Qassim moved from Bahrain to Qom in 1991, he tasked Sheikh Salman to replace him as Friday prayer leader at the mosques of al-Khawaja and al-Diraz. If the two men knew each other only for a maximum of twelve months when they were both in Qom, why did Sheikh Qassim choose to trust Sheikh Salman with such a great responsibility? Was Sheikh Salman the choice of Sheikh Qassim or of those sponsoring the sheikhs’ stay in Qom? Upon his return to Bahrain, Sheikh Salman emerged as a leader during the youth riots of the 1990s, at a time when the depletion of Bahrain’s oil reserves caused a much sharper decline in the living standards of the Shi’a than of the Sunni elites. A charity marathon in November 1994, during which male and female marathon runners dressed in shorts and T-shirts entered Shi’a villages, ignited popular unrest. In the absence of Sheikh Qassim from Bahrain, Sheikh Salman seized the opportunity of the uprisings to criticize the government and make a name for himself. He succeeded in this goal and rose to the status of a national figure. Sheikh Salman was arrested on December 5, 1993, and remained in prison until mid-January 1995. Pressured by the regime, he fled to London, undoubtedly attempting to distance himself from Qom, which would have been the alternative. In London, Sheikh Salman pursued this goal by cooperating with the Islamic Bahrain Freedom Movement (IBFM) [Harekat Ahrar al-Bahrain al-Islamiyya], which was established by Said al-Shihabi and Mansur al-Jamri, two Bahraini political activists who were granted political asylum in Great Britain in the wake of the government repression of Shi’a political activists in the 1990s. The London-based Bahraini opposition mainly communicates with the Bahraini Shi’a through the Voice of Bahrain and downplays the Islamist factor in its English-language communications: the website calls the movement “Bahrain Freedom Movement,” rather than “Islamic Bahrain Freedom Movement.” However, gaining new friends and allies also led to Sheikh Salman’s distancing himself from old friends such as Sheikh Qassim. When Sheikh Isa bin Salman al-Khalifa died in March 1999, King Hamad bin Isa al-Khalifa succeeded his father and started a reform program that allowed Sheikh Qassim’s return to Bahrain on March 8, 2001. He was greeted by cheering supporters as he stepped off his airplane. As did most Shi’a political activists, Sheikh Qassim praised the king’s reforms, calling them positive steps on a road that could lead Bahrain to a new era of parliamentary democracy in which the people have the right to demand accountability from their national and local leaders. The Bahraini electorate approved King Hamad’s constitutional reform program by a wide margin on February 14, 2002, establishing the powers of a bicameral legislature for the first time since 1975. Popular uprisings in the Arab world reached the shores of Bahrain on February 14, 2011, when thousands of Bahraini Shi’a took to the streets to protest against the Khalifa regime. The reforms led to freedoms of speech and association, which resulted in the emergence of the old political groups with new names: al-Da’wa emerged as the al-Wefaq National Islamic Society (Jami’at al-Wefaq al-Watani al-Islamiyyah) led by Sheikh Salman, while the Islamic Enlightenment Society, led by Sheikh Baqer al-Hawaj, served as the cultural arm of the group. The Shiraziyyin faction changed its name from the Islamic Front for the Liberation of Bahrain to the Islamic Action Society (Jami’at al-‘Amal al-Islami). Sheikh Qassim and other clerical political veterans, however, chose to stay above party politics and established the Islamic Clerical Council (Majles al-‘Olamayi al-Islami) in 2004, which was composed of more than 120 theologians and students. However, the 2002 constitution was far less liberal than its 1973 predecessor, and the king’s reforms were not universally welcomed. The new constitution limited the legislative power of the elected assembly by putting it under the control of a body appointed by the king, and the electoral constituencies were intentionally shaped in a way that would severely limit the ability of the Shi’a opposition to win control of the elected chamber, since sparsely populated Sunni areas were granted representation similar to heavily populated Shi’a constituencies. Apart from these shortcomings, the government naturalized hundreds of Sunni expatriates, most of whom worked for the security services, which the Shi’a community considered a government design to weaken the Shi’a component of the Bahraini population. Against this background, many Shi’a opposition societies, including al-Wefaq, boycotted the 2002 legislative elections. Sheikh Qassim did not make any public statement about boycotting the second round of the election and chose to discuss foreign policy issues, such as his frustration with the US invasion and occupation of Iraq. Almost immediately after US-led coalition forces began Operation Iraqi Freedom in March 2003, Sheikh Qassim headed a nationwide demonstration against the invasion, which brought together Bahrain’s Shi’a and Sunni communities. Sheikh Qassim also encouraged peaceful protests later in the war, most notably during US offensive operations in the shrine cities of Najaf and Karbala. Sheikh Qassim’s position was very different when he urged the Shi’a to boycott the parliamentary and municipal elections of November 25, 2006. Both international and domestic developments affected these elections. In Iraq, the Shi’a majority had come to power by way of US-backed elections, which encouraged Shi’a political activism in Bahrain. Domestically, in September 2006, Saleh al-Bandar, an English citizen of Sudanese origin working in the Bahraini public administration, published a report that revealed an alleged “conspiracy” engineered by members of the Khalifa regime to alter the sectarian balance of Bahrain. While al-Wefaq urged the public to participate in the elections, Sheikh Qassim insisted that the Shi’a boycott them. Key figures, such as Abd al-Wahhab Hussein and Hasan Musheima, left al-Wefaq and established the al-Haqq group. The 72 percent turnout was high, and al-Wefaq won seventeen seats to become the largest single bloc in the legislature, although it failed to obtain an absolute majority. This was the first instance of public disagreement between Sheikh Qassim and al-Wefaq. The rift represented another missed opportunity for the Khalifa regime to strengthen the reformist al-Wefaq against the now-radical clerics like Sheikh Qassim. Popular uprisings in the Arab world reached the shores of Bahrain on February 14, 2011, when thousands of Bahraini Shi’a took to the streets to protest against the Khalifa regime. That March, Bahrain’s government called for security assistance from other Gulf Cooperation Council countries, declared a state of emergency, and forcefully suppressed demonstrations and arrested dissident leaders. The state of emergency ended on June 1, 2011, but the continued imprisonment of dissidents contributed to the failure of a “national dialogue” held in July 2011. Facing domestic and international criticism, King Hamad courageously appointed the Bahrain Independent Commission of Inquiry (BICI) to investigate and report on the unrest in Bahrain since February 2011. The commission released its report on November 23, 2011. The report was critical of the government’s response to the unrest, and upon formally receiving the report King Hamad promised to implement many of the BICI recommendations. However, six months on, the crisis has not been solved because of lack of major reforms. In a radical political atmosphere, Sheikh Qassim’s attacks against the king of Bahrain have mobilized the Shi’a public more effectively than the statements made by al-Wefaq leaders and other lay critics of the Khalifa regime. Sheikh Qassim’s strong reputation, buttressed by his religious background and iconography showing his pictures next to Grand Ayatollah Khomeini, Iran’s Supreme Leader Ali Khamenei, and Hezbollah General Secretary Sheikh Hassan Nasrallah assures that the Bahraini Shi’a take all his words seriously. Friday prayers at Sheikh Qassim’s mosque can easily develop into mass marches like the March 9, 2012, rally when one hundred thousand Bahrainis heeded his call to take to the streets. Sheikh Qassim may believe he can manipulate the Shi’a demonstrators with his speeches, forcing the Khalifa regime to give concessions. However, he ignores the fact that such rallies have dynamics of their own and that the crowds can get of control: a group called the February 14 Revolution Supporters used Sheikh Qassim’s sermon to launch the so-called Bahrain Fist Operation, which was mapped out in phases—Revolution’s Fist, which chased the police force out of Shi’a villages on January 24, 2012; Avenger’s Fist, which cut the roads connecting Manama to the villages; and later operations aimed at organizing marches from the villages to Manama. The demands of the Bahraini Shi’a are not new; the effects of the Arab Spring have fed the recent surge in protests, not any increased sense of injustice or repression by the Khalifa regime. But the historical sense of injustice is real and has radicalized the political circumstances. And radical political circumstances give birth to radical leaders like Sheikh Qassim. As long as the relationship between the rulers and the ruled in Bahrain develops from bad to worse, Sheikh Qassim and other radical leaders are likely to remain influential in the Bahraini Shi’a community. Radicalization of Bahraini politics was not inevitable; the crisis could have been prevented had Bahrain’s ruling elites accommodated popular demands for political and social reforms decades ago. The Khalifa regime’s recent attempts at reform have at best proven halfhearted. Had genuine change been introduced, Sheikh Qassim may have continued his scholarly studies, possibly demanding reforms rather than calling for a revolution. Even if Sheikh Qassim’s preference for revolution over reform was inevitable, by granting real political influence—and also responsibility—to Shi’a political parties, the ruling elites of Bahrain would have induced the Shi’a to favor the realist elements among the al-Wefaq leadership over Sheikh Qassim and his revolutionary approach to effecting change in the country. In doing so, the Khalifa regime could have used the real rifts between radicals and moderates within the Shi’a political activists rather than force them into a corner where they stand united under the banner of revolution. The historical sense of injustice is real and has radicalized the political circumstances. And radical political circumstances give birth to radical leaders like Sheikh Qassim. The regime in Tehran is doubtless responsible for the propaganda warfare against the regime in Bahrain, but had Bahrain given equal social opportunities and political influence to the Shi’a, it would not have looked for costly support in Iran. The Islamic Republic’s interest in Bahrain does not and has never existed because of a genuine concern for the welfare of the Bahraini Shi’a. After all, a regime that cares little for the welfare of its own population cannot be genuinely concerned for the welfare of the Shi’a outside of Iran. Bahrain is of great strategic importance to the United States because it hosts the US Navy’s Fifth Fleet, whose presence in the Persian Gulf helps ensure the free passage of oil to world markets. However, the necessity of maintaining ties with theKhalifa regime need not and should not conflict with the US commitment to democracy and human rights. Therefore, the United States should encourage gradual reforms in Bahrainas recommended by the BICI report. Specifically, the United States should encourage the Bahraini government to diversify the police force; try people in civil rather than special courts; investigate cases of police abuse and torture; and beyond the BICI report’s recommendations, implement social reforms that aim to improve the lives of the Shi’a. However, the United States government should not force the Bahraini government to introduce rapid change that could provide opportunities for exploitation by US adversaries, particularly the regime in Tehran. Gradual reforms that aim to reintegrate the Shi’a majority into Bahraini politics would protect the rights of the Sunni—and the US military presence in Bahrain, regardless of whether the country is ruled by Sunni or Shi’a moderates. In doing so, the Khalifa regime would embrace Shi’a reformists and isolate radical revolutionaries such as Sheikh Qassim. 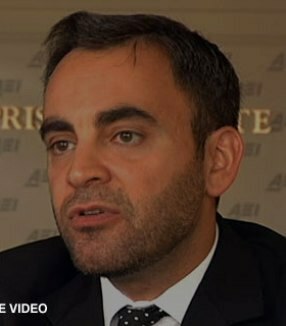 Ali Alfoneh (ali.alfoneh@aei.org) is a resident fellow at AEI. The author thanks Stephanie Young, Daniel DePetris, and Ben Hamd for research assistance. The Shi’a constitute 70 percent of the Bahraini population. Saudi National Security Assessment Project, A Shia Crescent and the Shia Revival: Myths and Realities (Riyadh, September 27, 2006). “Zemat al-Kotlat al-Diniyat Eza Men Aezaei al-Majles al-Watani Va Ham…” [Six Members of the Religious Bloc Included in the Parliament Are…], Al-Wasat (Manama), October 22, 2010,www.alwasatnews.com/2968/news/read/493809/1.html (accessed May 1, 2012). According to Qawem, his year of birth is 1937; see “Ayatollah Sheikh Issa Ahmad Qassim,” Qawem(Bahrain), May 2009, http://forum.qawem.org/t68582.html (accessed June 11, 2012). Emile A. Nakhleh’s data resemble Al-Wasat’s: he writes that Sheikh Qassim was thirty-two years old when he ran for the Constitutional Assembly in 1972, which makes 1940 his year of birth. See Emile A. Nakhleh,Bahrain: Political Development in a Modernizing Society (Lexington, MA: Lexington Books, 2011), 159. However, Zein Abal Jamri claims that Sheikh Qassim was born in 1941. See Zein Abal Jamri, “A’Seera Thatia L’Ayatollah Qassim Wa Mohzalt Da’wa Tajneesaho” [Autobiography of Ayattolah Qassim, Naturalization Proceedings a Farce], Azadnegar (Iran), June 22, 2011,http://ar.azadnegar.com/zeinabaljamri/news/37472.html (accessed June 11, 2012). Laurence Louër and Fuad I. Khuri claim that Sheikh Qassim was born in 1943. See Laurence Louër, Transnational Shia Politics. Religious and Political Networks in the Gulf (New York and Paris: Columbia University Press and Centre d’Etudes et de Recherches Internationales, 2008), 106; and Fuad I. Khuri, Tribe and State in Bahrain: The Transformation of Social and Political Authority in an Arab State (Chicago: University of Chicago Press, 1980), 226. “Zendeginameh-ye Yeki Az Rahbaran-e Enqelabiyoun-e Bahrein” [Biography of One of the Leaders of the Bahraini Revolutionaries], Shia Online (Qom), April 23, 2011, http://shia-online.ir/article.asp?id=17733 (accessed May 1, 2012). Henny Harald Hansen, Investigations in a Shi’a Village in Bahrain (Copenhagen: National Museum, Ethnographical Series 12, 1968). Louër, Transnational Shia Politics, 11–12. The Khalifa are of mainland Bedouin stock, descended from the Banu Otba of Qatar, which attacked and conquered Bahrain in 1783. See Ahmad Mustafa Abu Hakima, History of Eastern Arabia 1750–1800: The Rise and Development of Bahrain and Kuwait (Beirut: Khayats, 1965), 10–11, 34–35. Joseph Kostiner, “Shi’I Unrest in the Gulf,” in Shi’ism, Resistance and Revolution, ed. Martin Kramer (Boulder, CO: Westview Press, 1987), 176–77. Khuri, Tribe and State in Bahrain, 88. Mohammed Ghanem Rumaihi, Bahrain. Social and Political Change since the First World War(London: Bowker, 1976), 51. Ibid., 209–345, and Khuri, Tribe and State in Bahrain, 194–217. Louër, Transnational Shia Politics, 110. Ibid, 107. According to Louër, Sheikh Qassim undertook religious studies in Najaf in the mid-1960s. See “Zemat al-Kotlat al-Diniyat” and “Nabzat Tarikhiyat” [History], Maktab al-Bayan al-Morajeat al-Diniyah – Safahat al-Sheikh Isa Ahmad Qassim (website of Sheikh Qassim), March 29, 2004,http://albayan.org/modules.php?name=Content&pa=showpage&pid=6 (accessed May 1, 2012). “Mosahebeh Ba Ayatollah-e Shahid Seyyed Mohammad Baqer Hakim” [Interview with the Martyred Ayatollah Seyyed Mohammad Baqer Hakim], Pegah-e Howzeh (Qom), September 6, 2003,www.hawzah.net/fa/magart.html?MagazineID=0&MagazineNumberID=3939&MagazineArticleID=24558(accessed May 8, 2012). Richard P. Mitchell, The Society of the Muslim Brothers (London: Oxford University Press, 1969). Louër, Transnational Shia Politics, 85. Mahmoud Taqizadeh Davari, “Barresi-ye Didgah-ha-ye Falsafeh-ye Ejtemaei-ye Ayatollah Seyyed Mohammad Baqer Sadr” [Analysis of the Social Philosophy Views of Ayatollah Seyyed Mohammad Baqer Sadr], Rasekhoon (Qom), May 2, 2010, http://rasekhoon.net/article/show-53047.aspx (accessed May 8, 2012). Tim Arango, “Iran Is Pressing for Top Official as Shiite Leader,” New York Times, May 12, 2012, 1, 3. Amir-Reza Bakhshi, “Jaryan-shenasi-ye Siyasi-ye Shi’ayan-e Eragh-e Novin” [Shi’a Political Currents in Modern Iraq], Afkar-e Now (Tehran), January 2012, www.afkarenow.com/mataleb/iraq.htm(accessed May 9, 2012). “Bahrain, History of Political Relations with Iran,” Encyclopaedia Iranica, August 24, 2011 (updated), www.iranicaonline.org/articles/bahrain-all (accessed May 9, 2012). Khuri, Tribe and State in Bahrain, 218. Ibid., 228. See also Louër, Transnational Shia Politics, 104–105; and “Ta’arif ‘ala al-Taw’iyya: Nebdhah Mukhtassarah ‘an al-Taw’iyya” [About Islamic Enlightenment Society], Tawiya (Manama), n.d., http://tawiya.org/?page_id=4238 (accessed May 20, 2012). Khuri, Tribe and State in Bahrain, 228. Louër, Transnational Shia Politics, 104–105. Khuri, Tribe and State in Bahrain, 229. For an introduction into the Shiraziyyin, see Louër, Transnational Shia Politics, 88–99. Mohammad Shirazi in Karbala was one of the few people who welcomed Khomeini to Iraq, while other sources of emulation largely ignored Khomeini. See Assadollah Jafari, “Maktab-e Feqhi-ye Qom va Chaleshha-ye Qeraat az Velayat-e Faqih” [The Theological School of Thought of Qom and Challenges in Interpreting the Guardianship of the Jurist], Koofi (Herat), December 23, 2009,www.koofi.net/index.php?id=815 (accessed May 13, 2012); and Fatemeh Tabatabaei, Eqlim-e Khaterat [The Realm of Memoirs] (Tehran: Moassesseh-ye Tanzim va Nashr-e Asar-e Emam Khomeini, 2011), 247. Wissam Al Saba’, “Al Qutla al Diniya fee barlaman 1973” [The Parliamentary Religious Bloc in 1973], Al Wasat (Bahrain), October 22, 2010, www.alwasatnews.com/2968/news/read/493809/1.html(accessed June 11, 2012). “Jaryanshenasi-ye Mobarezati-ye Shahid Mohammad Montazeri” [Investigation into the Struggle of Martyr Mohammad Montazeri], Rasekhoon (Tehran), June 19, 2011, http://rasekhoon.net/article/show-88328.aspx (accessed May 9, 2012). “Kholaseh-ye Mabahes-e Neshast-e ‘Bohran-e Bahrain’” [Summary of the ‘Crisis in Bahrain’ Seminar], Basij-e Daneshjouyi-e Daneshgah-e Sanati-ye Sharif (Tehran), May 19, 2011,http://basij.sharif.ir/?p=550 (accessed May 13, 2012); see also Mahnaz Zahirinejad, Monasebat-e Emam Khomeini Ba Harekat-ha va Mobarezan-e Eslami [Imam Khomeini’s Relations with Islamic Movements and Combatants] (Tehran: Markaz-e Asnad Enqelab-e Eslami, 2003), 113, 196–97. Louër, Transnational Shia Politics, 158. Graham E. Fuller and Rend Rahim Francke, The Arab Shi’a. The Forgotten Muslims (New York: St. Martin’s Press, 1999), 125. “Emam Va Sepah Az Badv-e Tashkil Ta Hal. Mosahebeh Ba Seyyed Ahmad Khomeini” [The Imam and the Guards from Establishment to Now: Interview with Seyyed Ahmad Khomeini], Payam-e Enqelab (Tehran), May 29, 1982, 10. Rouhollah Khomeini, Sahifeh-ye Hazrat-e Emam Khomeini [The Pages of His Holiness Imam Khomeini] (Tehran: Moassesseh-ye Tanzim va Nashr-e Asar-e Emam Khomeini, n.d.), CD-ROM, Vol. 7, 387. Rouhollah K. Ramazani, Revolutionary Iran: Challenge and Response in the Middle East(Baltimore, MD: Johns Hopkins University Press, 1986), 48–53, 131–33. “Rabeteh Ba Enqelab-e Eslami” [Connection with the Islamic Revolution], Al-Omma (Tehran), n.d.,www.alomma.info/main.php?page=info&item=61&id=4 (accessed May 13, 2012). Zahirinejad, Monasebat-e Emam Khomeini, 190. Rouhollah K. Ramazani, “Shi’ism in the Persian Gulf,” in Shiism and Social Protest, ed. Juan R. I. Cole and Nikki Keddie (New Haven, CT: Yale University Press, 1986), 49. Louër, Transnational Shia Politics, 160. “Bahrain: Aksariyat-e Asil dar Feshar-e Aqaliat-e Mohajer-e Dar Qodrat” [Bahrain: The Indigenous Majority under the Pressure of the Immigrant Ruling Minority], Akhbar-e Shiayan (Qom), June 2009,www.hawzah.net/fa/magart.html?MagazineID=5658&MagazineNumberID=6891&MagazineArticleID=82952 (accessed May 20, 2012). “Negahi be Andisheh-ha-ye Sheikh Ali Salmen, Rahbar-e Jamiyat-e Wefaq-e Eslami-ye Bahrain” [A Look at the Thoughts of Sheikh Ali Salman, the Leader of the Islamic Wefaq Society of Bahrain], Fars News (Tehran), January 17, 2012, www.farsnews.com/newstext.php?nn=13901027000051 (accessed May 20, 2012). Louër, Transnational Shia Politics, 203. Hashem Al Mosawi, “Al Harakat Al Niqabiya Fee Bahrain” [The Trade Union Movement in Bahrain],Al-Wefaq (Bahrain), December 18, 2009, http://alwefaq.net/~alwefaq/press/index.php?show=news&action=article&id=482 (accessed June 11, 2012); and Haidar Mohammed, “Al Shara Yataharak Fee Nihayat 1994” [The Streets Liven at the End of 1994], Al-Wasat News (Bahrain), October 21, 2008, www.alwasatnews.com/2237/news/read/20030/1.html (accessed June 11, 2012). Louër, Transnational Shia Politics, 202. IBFM has now removed “Islamic” from its English title. See Bahrain Freedom Movement (London), n.d., http://vob.org/en/ (accessed May 20, 2012). See Bahrain Freedom Movement (http://vob.org/en/). Taeib Mahjoub. “Landslide Vote for Democracy and to Turn Bahrain into a Monarchy,” Agence France Presse (Paris), February 16, 2001. “Constitution of the Kingdom of Bahrain. 14th February 2002,” Kingdom of Bahrain (Manama), n.d.,www.bahrain.bh/pubportal/wps/wcm/connect/66637e004b96f314ba75bf13d8048f0c/CA9SS7XP.pdf?MOD=AJPERES&CACHEID=66637e004b96f314ba75bf13d8048f0c (accessed May 29, 2012). Louër, Transnational Shia Politics, 286. “Ten Thousand Estimated to March through Bahraini Capital in Anti-War Protest,” Gulf Daily News(Manama), March 28, 2003. See “Bahrain Politics: Politics of Confrontation,” The Economist Intelligence Unit, June 23, 2004; “Bahrain Clerics Hail Najaf Deal, Urge US Pullout,” Agence France Presse, August 27, 2004. Louër, Transnational Shia Politics, 256. Mahmoud Cherif Bassiouni et al., Report of the Bahrain Independent Commission of Inquiry, BICI Website (Manama), December 10, 2011, www.bici.org.bh/BICIreportEN.pdf (accessed June 27, 2012). “Bahrain’s Shias Demand Reform at Mass Rally,” Al-Jazeera English, March 9, 2012,www.aljazeera.com/news/middleeast/2012/03/201239144334860869.html (accessed June 22, 2012). Souad Mekhennet, “In Bahrain, Violent Drift to Shi’a-Sunni Split; Country Seen as Setting for Bigger Fight between Iran and Saudi Arabia,” The International Herald Tribune (Neuilly-sur-Seine), January 26, 2012. Rebecca Torr and Aniqa Haidar, “Police Come under Attack,” Gulf Daily News (Manama), January 25, 2012; and Rebecca Torr, “Opposition Leaders Blamed for Clashes,” Gulf Daily News (Manama), January 26, 2012. US Naval Forces Central Command, US Fifth Fleet, Combined Maritime Forces, “Mission and Vision,” n.d., www.cusnc.navy.mil/mission/mission.html (accessed June 22, 2012). Sheikh Qassim, the Bahraini Shi’a, and Iran by . @Alfoneh of . @AEI � Dr. @saqeralkhalifa. I actually do have some questions for you if it’s allright. Is it only me or do a few of these responses come across like they are left by brain dead visitors? 😛 And, if you are writing on additional online sites, I’d like to follow everything fresh you have to post.